Recently, Whitney over at Pop Candy talked about when to give up on a TV show. I used to stick with TV shows until the bitter end, way longer than anyone else. Whitney gives reasons why she gives up on a show--the original cast leaves, they randomly bring in long-lost relatives (who are usually children), the writing gets crazy, etc. I hate moving. Everyone does, but it turns me into a terrible crankypants. I become completely unreasonable and whiny. I'm not saying this behavior is ok, and I wish I could have a more mature, adult approach to this process. So when I had to move my life across country in less than a month, the crazy Moving Monster threatened to emerge. What did I do? I started getting rid of s**t. When you're faced with your small sedan of a car and whatever UPS can ship without spending a fortune as your only moving means, you bring out the gavel and make some tough decisions. The furniture you love but would cost too much to ship? Hey there, Craigslist. Your bed that is SO comfy and in good condition? Welcome to my childhood bedroom at my parents' house! Not only does the week back after vacation feel exhausting, but add in jet lag and a busy week, and I feel like I've been run over by a tractor. --the apartment is finally set up (with actual things on the wall and a minimal amount of boxes) so we're having a housewarming shindig tonight. I'm making my first attempt to get to know the neighbors (our front doors are all really close together, so we run into them quite frequently) and inviting them to the party. Let's hope they're cool . . .
--the rooftop deck at my apartment. This is going to come in handy in the next few months. One day I'll get a good photo of the view and post it. That is if my hands aren't full of the booze I bring with me on each trip. --Finally ordering a canvas print of a photo. Considering I have Groupons for another few canvases, I better become Ansel Adams soon. I was in high school when September 11 happened, so I was able to go home and hug my parents at the end of that horrible day. Having always lived in the same city as family made big national tragedies easier to take, no matter how old I was. When the Newtown shooting happened, I went to my parents' house that night for something, and it was just nice to hug them. When the bombings in Boston happened, I just wanted to sit in my parents living room and talk about something else. And being in a city that is considered a prime terrorist target, all of this hits home a bit more--that I'm away from my family, that if something happens, I can't escape to their house without driving to Philadelphia and hopping on a plane (if the airports in DC are closed). Do you remember a few years ago when we'd all send emails to each other answering questions about ourselves, and then our friends were supposed to respond the same way? This is kind of the same thing, but in blog form. One of my favorite bloggers, Blair's Headband, started this, and it's a little different from others. And I get to fill this out with deets about my new city, yay! How did you pick your blog’s name: Well, LO is a nickname of mine, and it just kind of came to me one day after telling lots of people that I was going to start a blog to keep everyone up to date on my new adventure. 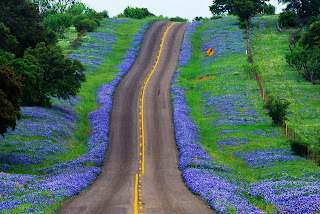 Where did you grow up: Texas!! Where do you live now: Washington, DC!!!!!! Where would you live anywhere in the world: Well, I already live in the U.S. city I've always wanted to live in . . . other than this I might say Greece or Ireland? --um, the previously mentioned furniture. We no longer look like we're running a tap dance studio. --the air conditioning being turned on by my apartment building. Having your utilities paid=awesome. Having no control over when the heat is switched to A/C=not awesome. Especially when its 86 inside your apartment and your make-up starts to melt. But we're focusing on the A/C being turned on part. Yay! --my first sighting of Sam Adams Summer Ale!!! I'd already chosen a glass of sangria when I saw this, but I'm SO EXCITED my favorite beer is now being stocked. Now that I live in a city on the top 10 list of most visited U.S. cities, I expected to have to deal with a dose of tourists now and then. My office is at the epicenter of many tourist hot spots and Metro stations, not to mention great shopping, so I figured I'd see tourists pretty regularly and just avoid them. Throngs of families with huge strollers and backpacks. Gaggles of high school kids (we're talking 60 or 70) lined up for Ford's Theater or Buca di Beppo (by all means, sample the finest of DC cuisine while you're here). I keep forgetting how annoying high school kids are. Everything must be said at an "outdoor voice" level, the littlest things will cause peals of laughter, and they think they know everything. Moving to a city like DC and looking for housing is kind of like buying a gift for your second cousin twice removed who you last saw in 1998, at a flea market. Not only do you have no idea what you're looking for, but you're completely overwhelmed by options, don't know what a good price is, or if the antique map of France (because she studied abroad there in college, right?) is real or a replica. Welcome to apartment hunting in DC. Where I'm from, three or four major apartment management companies rule the roost. They each own a dozen complexes around Dallas, so odds are you'll end up in one of them. The nice thing is, you can look at lots of apartments at once in various areas and price ranges. In DC, these types of management companies are less common, and more apartments are available from independent owners than companies. Typically "taking the plunge" means getting married. But honestly, I don't know if getting married will rank above the monumental change I made a month ago. Born and raised in Dallas, TX--went to college there, the whole nine yards. But starting somewhere in late high school to late college (I'm a little fuzzy on exactly when . . .) I had this nagging love of DC. One of my favorite TV shows is The West Wing (oh, there will likely be many a WW reference at times), one of my favorite movies is The American President (I'll be in the Roosevelt Room, giving Louis oxygen). 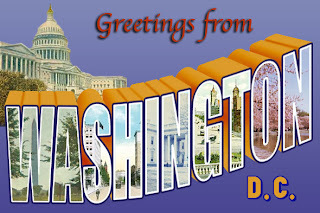 If I met someone from DC or a friend was visiting DC, I would talk their ear off. All these things really just held me over until I could visit DC again.